Paul Carpenter, a self-described magician, illusionist, singer, actor, director and producer, held a protest today on President Donald Trump’s star on the Hollywood Walk of Fame. 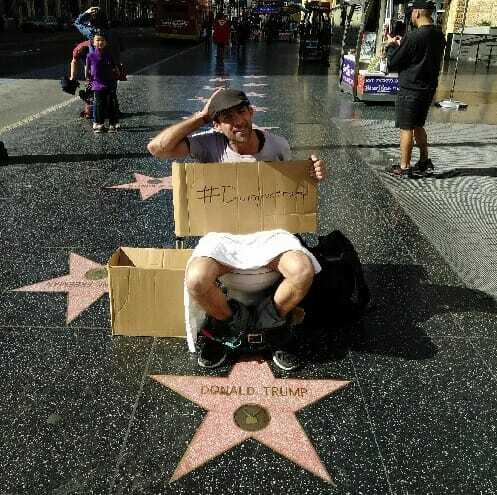 Carpenter held a protest today sitting on a toilet on Donald Trump’s star. FYI: This idiot has his phone number listed on his Twitter page.